Today just before my lunch break ended (typical!) 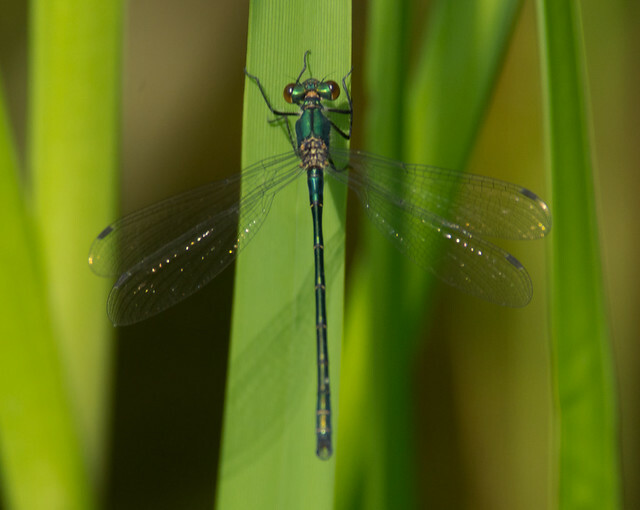 I spotted an emerald damselfly (Lestes sp.). 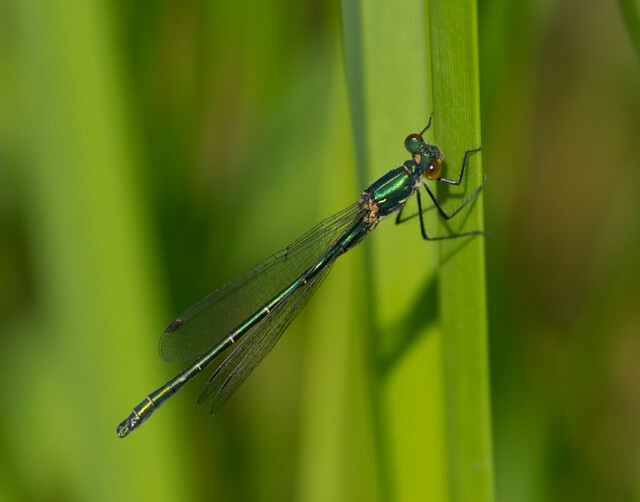 I managed a few photos, trying to focus on the key ID features to separate the from the Scarce (Lestes dryas), ‘common’ (L. sponsa) and the Southern/ migrant (L. barbarus) emeralds, all recorded from Wat Tyler Country Park. It refused to come within decent range so I was reduced to the 300mm + 1.7x telecovertor in less than ideal light, so some of the pics are a not 100% sharp. 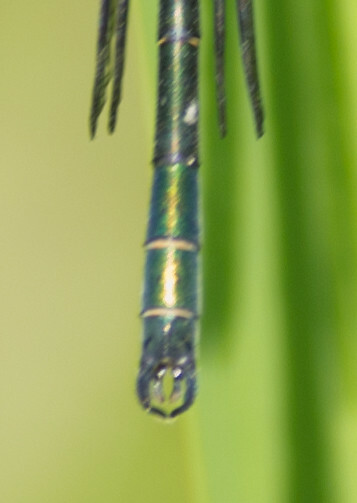 The inner pair curve inwards and are quite broad so I’m leaning towards scarce emerald (L. dryas). 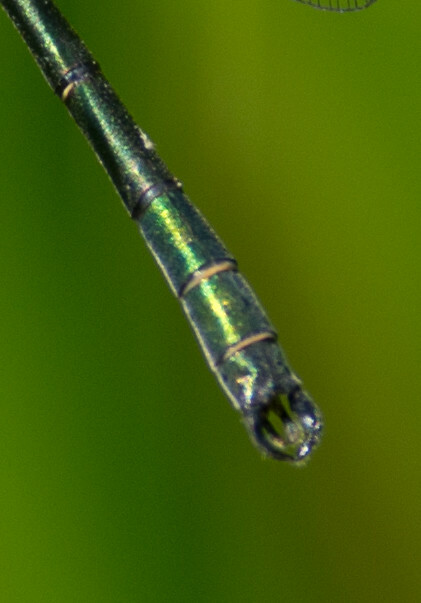 In mature males usually only the top half of the S2 is blue in the scarce (L. dryas), but it is entirely blue in the ‘common’ emerald (L. sponsa). If we zoom in on S2 their is a faint bluey line half way across S2, perhaps indicating where the blue colouration with form? 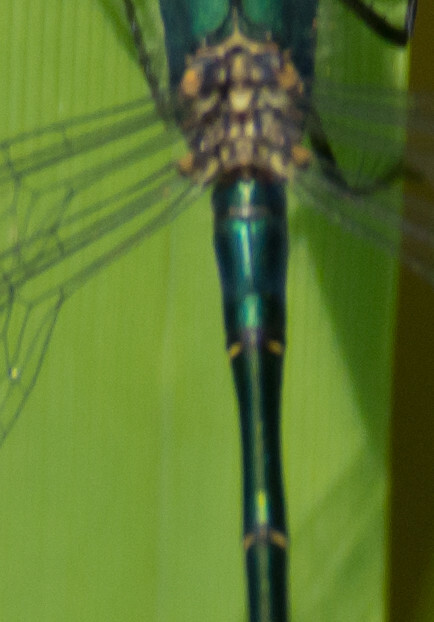 Add the fact this specimen is fairly stocky, I’m certainly leaning more towards the scarce emerald damselfly for this individual. If anyone can confirm or suggest otherwise please do! Thanks Adrian. Im always a bit rusty at the start of the emerald emergence!